My Neck Of The Woods is a live documentary from the streets of Manchester made in collaboration with a group of young people. Find out more about the project here. 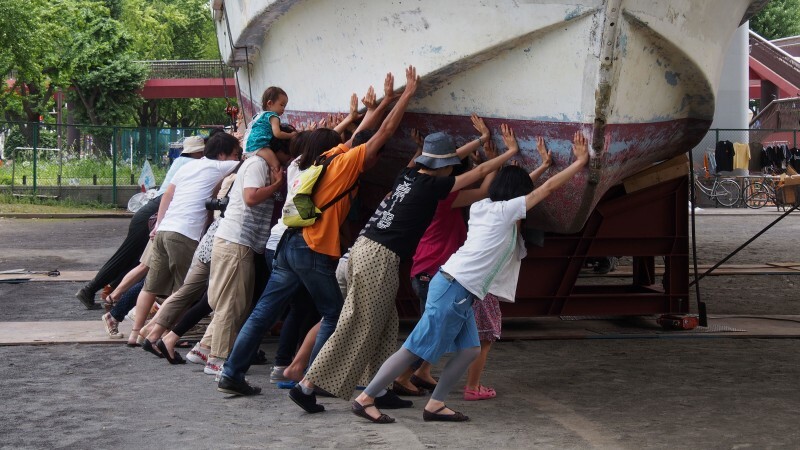 A crowd of people drag a trawler out of the water and through the streets of Nagoya. What are the conflicts that often arise between artists’ work and ethical approval, the ethics of working in public space and the ethics of interactive work? 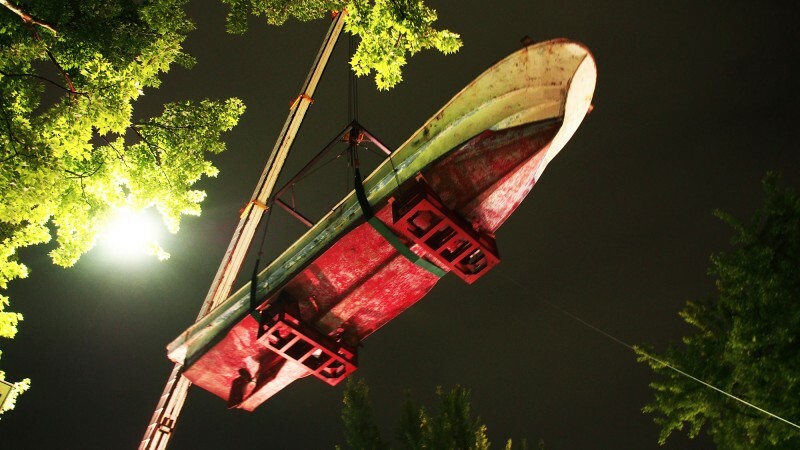 Ju worked with an army of volunteers to drag a 30 tonne fishing trawler out of the sea and into a resting place in central Nagoya for The Thing I’ll Be Doing For The Rest Of My Life.